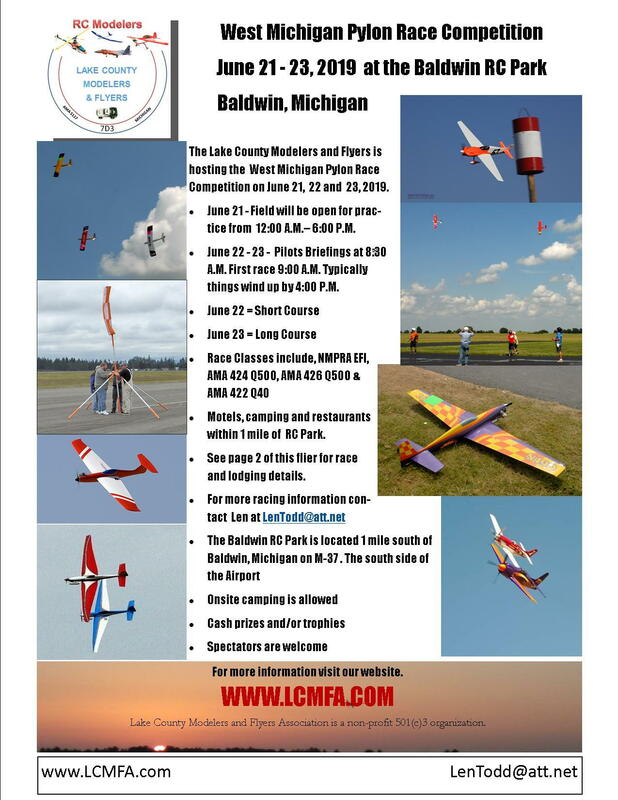 June 22 & 23 the Lake County Modelers and Flyers Association is again hosting pylon racing at the Baldwin RC Park. Pilots can pre-register at http://www.capsracing.com/ . More details can be found at www.LCMFA.com This event is scheduled with NMPRA National Miniature Pylon Racing Association - NMPRA and sanctioned by AMA. This event is shortly before the NATs and provides a laid back experience to work out the bugs and get that caller well synced.